Emanuele “Manny” Fizzotti was born and raised in Italy, studied guitar at the Guitar Institute of Technology in Los Angeles, played as a session guitarist in both the USA and Italy and now resides in London, England, where he gigs with his blues band and teaches guitar. As one might expect from a guitar teacher, this album features a lot of guitar, but to Fizzotti’s credit, he never lets it over-shadow the songs. 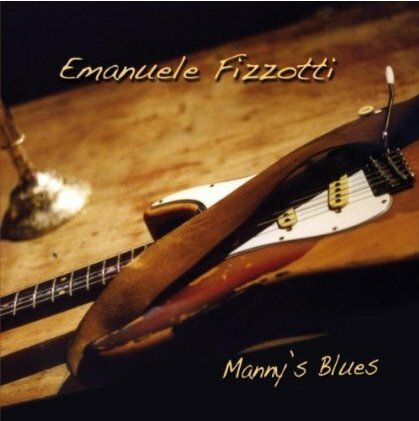 Manny’s Blues is Fizzotti’s fifth album, although it is unclear when the songs were actually laid down. The sparse liner notes state that it was recorded primarily in Cavallirio in North-Western Italy, with one song (the country/rockabilly “Something Ain’t Right”) being recorded in London. All ten songs however bear a 2012 copyright. 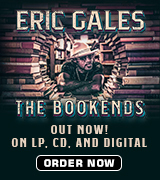 The songs on Manny’s Blues (of which seven are self-written and three are well-chosen covers) display a wide range of influences. This much is clear from the breakneck first five. Opening up with a version of Bob Dylan’s “Odds And Ends”, Fizzotti confidently re-interprets the song as a high-octane rock’n’roller, even throwing in a hint of AC/DC’s “Rock ‘n’ Roll Damnation” in the opening few bars, before the Texas blues of the self-written “Hey Baby” slows the pace. The second cover version is the Beatles’ “Lady Madonna”, played as slide-driven National guitar work-out, which is itself followed by the swampy southern blues-rock of “Do You Love Me” and an outstanding acoustic version of the traditional “Railroad Workshop” that is one of the highlights of the album. The other songs display a similarly catholic palate. Fizzotti is obviously an outstanding guitar player and a good singer with a warm and enjoyable voice. Apart from writing (or co-writing) seven of the songs, he also produced the album, as well as contributing mandolin, 5-string banjo, the majority of the bass, keyboards on six songs and percussion. His backing musicians include Luca Roffino and Andrea Beccaro on drums, Marco Castellano and Ben Hillyard on double bass, Marina Schiavinato on backing vocals, Alessandro Ghigo on piano and Silvio Sansone on harmonica. Unfortunately, even though Fizzotti’s versatility and technical ability are extremely impressive, and despite the fact that he himself is so prevalent on the songs, the end-result is a slightly incoherent product, as if one were listening to a compilation rather than an album by a single artist. The sheer range of blues styles essayed results in the listener being unsure where the essence of Fizotti resides. Although his biography states that he has played in a Jimi Hendrix tribute band and produced educational DVDs on playing in the style of Jimmy Page, a more obvious influence appears to be Rory Gallagher, another talented multi-instrumentalist unafraid to pay homage to his wide range of influences. Indeed, given the photos of the battered Strat and National guitar on the CD cover, it is possible that Fizzotti is actually tipping his hat to Gallagher on this release. The difference perhaps is in Gallagher’s extraordinary ability to fully inhabit every song he played. 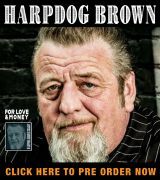 But this should not deter you from investigating this album if you are a fan of the likes of Clapton, Gallagher or Joe Bonamassa. Each of the songs on this release invariably has something to catch the ear. The acoustic songs, including the impressively catchy “I Can Fly”, all have a foot-tapping infectiousness and the ZZ Top-influenced ballad “A Brand New Love” features some beautiful guitar playing. This is a relatively short album, clocking in at 35 minutes, but Manny’s Blues is an enjoyable CD and recommended to all fans of guitar-driven blues-rock.